Wells is a better track runner than he is a cross country runner, but that doesn't mean he is a bad XC runner. Wells had a great season last season running consistent times and racking up a few honors. 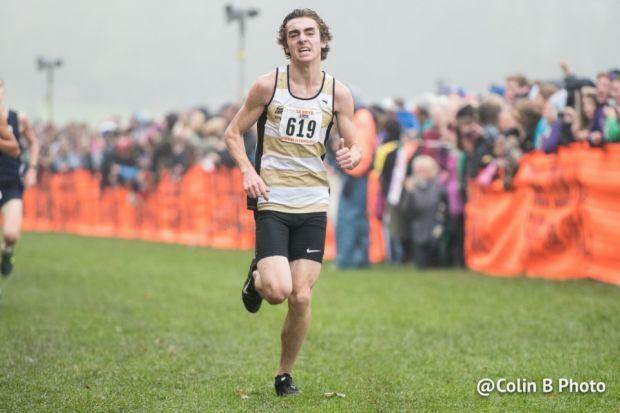 He won the Winnebago Regional and Oregon Sectional Championships and later took 5th place at 1A State in 15:05. Now this season Wells and company are moving up a class to 2A. Can Wells hang with some better runners? During Track Wells showed he could as he ran excellent all year. He had a great state meet winning the 1A 800m title for the 2nd year in a row with a 1:53.72 and anchored his teams 4x400m to a 2nd place finish.